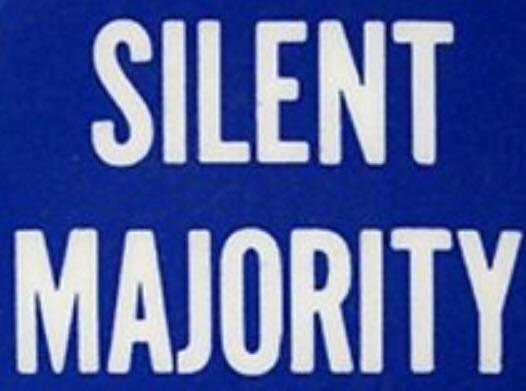 Silent Majority is Alive and Well! As more Reasonable Americans are observing the flat out hypocrisy and fake outrage displayed by the Mainstream Media and Leaders on the Left, the Silent Majority is increasing. Every time Sarah Sanders is asked to leave a restaurant based on moral differences, Pam Bomdi (Florida AG) is heckled in public, celebrities tweet threats against the 1st Lady and her child, the Silent Majority Grows! Reasonable people are seeing this for what it is and they don’t like it! While they may not outwardly express their opinion for fear of similar treatment outlined above, they are growing frustrated. They are frustrated that we have a MSM that can’t be trusted to report facts over feelings. They are frustrated that we have a Democrat Establishment that would rather resist than work for common ground legislation. They are frustrated that we have a Republican Establishment that is more concerned about Status Quo than they are working for their constituents. While all of this is occurring Reasonable Americans are caught in the Middle. There is currently no place for Reason with regard to today’s Establishment and Mainstream Media. There is only Extremes. Reasonable Americans are civilized, respectful, and keep their opinions to themselves until they feel that they are being attacked. And we have reached a point where more and more Reasonable Americans are beginning to feel that they are under attack and they can’t wait for their chance to voice their opinion through their voting power. Reasonable Americans understand that they will never be a PERFECT CANDIDATE that they can support. They will exercise their power through showing up and voting for candidates that that appear to pose the least threat to them. It won’t be the MSM or Extreme Left or Extreme Right thst will determine whether we have a Blue Wave or a Red Wave, the Silent Majority will most likely be the group that determines it. And the faster that MSM and Swamp Creatures begin to realize this, the better off we will all be.